When I told my friend I was updating the report on e-paper, she asked: "What is e-paper?" "It's like E Ink", I replied. "Ah I see." The reason I mention this is just to illustrate this point: for most consumers the word E Ink is now more familiar than e-paper, in the same way that Frisbee is preferred over flying disc. E-paper technologies are attempts to mimic paper, which can be described as a reflective surface, non-emissive and viewable from any angle. So far, e-paper has been used mostly in e-readers, but competition from multimedia devices such as tablets and smart phones is threatening the existence of dedicated e-book reading devices. For many, e-readers were only a transition technology that allowed softening the attitude against e-books. Once they accepted to swap books for e-readers, it was only an incremental step to start reading on LCD tablets. But e-readers are still hugely popular, not least because of their long battery life and their low price. Since the holiday season, the must-have new feature has been the frontlight that enables reading in the dark, such as in the new Amazon Kindle Paperwhite. But take a closer look at this new generation of e-readers and you will find something striking: all of them use the same E Ink Pearl display, a technology that was released more than two years ago. E Ink has more than 95% of the e-reader market (excluding LCD tablets), a position that is so strong that the company can still get away with not releasing any new display technology. E Ink's e-paper is a type of electrophoretic display, where a mix of white and black particles is suspended in a fluid inside a container (microcapsule). Because the particles are electrically charged, they can be moved up and down by applying a voltage. The trick here is to have white and black particles with opposite charges, so that they move in opposite direction. As a consequence, the material can switch from low reflectance (black) to a higher reflectance (white) and vice versa, simply by controlling the applied voltage. This technology has several advantages to qualify as a replacement for paper: it provides decent contrast for reading, has almost 180 degrees viewing angle, and is bistable, meaning that the display can hold an image without consuming power. However, anyone who has ever looked at an E Ink Pearl display will tell you that the screen is not actually white but rather light grey. This is because the "white" state is actually only about 40% reflective (in comparison, a white page in a newspaper would be around 60% reflective). The other problem is the lack of color. With E Ink's Triton, colors are obtained by adding RGB filters on top of a monochrome display, which reduces the reflectance even lower. Two technologies promising better color performances have been in development for quite some time. Liquavista (now a Samsung company) uses electrowetting as the operational principle: the applied voltage controls the wettability of the surface, which allows moving the fluid around. The advantage of using fluids instead of solid particles is the large choice of color pigments that can be incorporated inside the fluids. Electrowetting displays are therefore better for showing rich colors to the user. One major disadvantage is that these displays are not bistable, resulting in higher power consumption. Mirasol (owned by Qualcomm) uses a completely different approach. The display has an array of micro electromechanical sytems (MEMS) to move tiny mirrors by a small distance. Since each mirror can be switched very fast, Mirasol displays are able to perform at video rate. However, Mirasol displays have a narrow viewing angle because of the way each individual resonant optical cavity reflects light directionally. Overall, E Ink electrophoretic displays win on production cost. Unlike Liquavista and Mirasol, E Ink displays are compatible with roll-to-roll manufacturing using printing technologies. This has allowed the company to rapidly scale up and produce the electrophoretic material at high volume and high yield, thus offering the product at the right price point for the e-reader market. As of today, Liquavista is still not commercialized despite the fact the technology has been in development for roughly the same amount of time as E Ink's. Mirasol e-readers were sold in East Asia but did not attract enough traction, most likely because the devices were too expensive. Qualcomm has stopped the production of the displays and is now looking to license the technology to other manufacturers. The lesson here is that technologies that require setting up costly production facilities are likely to fail. E-readers will co-exist alongside tablets in the medium term. They are cheaper and able to differentiate on sunlight readability and battery life. Some hybrid devices can even incorporate two types of displays so that they can be used as e-readers. For example, just a few weeks ago Russian company Yota Devices launched a new mobile phone with a LCD on one side and a secondary E Ink display on the other side. Although this type of device is unlikely to gain a lot of traction, it could help e-paper transition from single usage (e-books) to multi-usage (e-books, notifications, ticketing, decoration...). Another example of secondary display is a smart watch wirelessly connected to a mobile phone. This concept received a lot of media attention last year thanks to the crowd-funded Pebble watch project. In both examples, the key feature is display bi-stability because it means the e-paper display will consume little power. However, E Ink will need to innovate more in R&D as some startup companies like Gamma Dynamics (electrofluidic displays) and Opalux (tunable photonic crystals) have the potential to disrupt the e-paper market in the future. Last year, HP and Fuji Xerox also showed demos of color e-paper displays that outperform E Ink. However, it will take some time before we will see these technologies in consumer products. To increase their chance of success, these companies should assess whether they can follow on E Ink footpath and adopt roll to roll manufacturing. 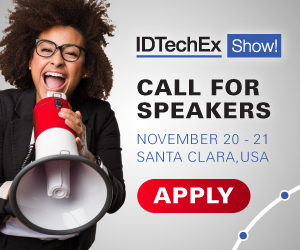 If you are interested in roll-to-roll and printing processes, you should definitely consider attending one of the IDTechEx Printed Electronics events. The next one will be held on 17-18 April in Berlin, Germany. Printing technology companies like Roth & Rau, Ceradrop, Fujifilm Dimatix, Printcolor Screen and Xaar will be exhibiting on the tradeshow, along with roll-to-roll manufacturing experts from Soligie. There will also be talks from big companies like Samsung Electronics, Philips, Panasonic, or Parc (for the full list of speakers, click here). These events are incredibly useful if you want to meet all the main players in the field and discover new startup companies. One booth I will definitely visit is ISORG's. This startup has developed a way to print optical sensors on large areas and the demo I saw last December was fun an impressive. If you want to meet me in Berlin, drop me an email using the link on this page.